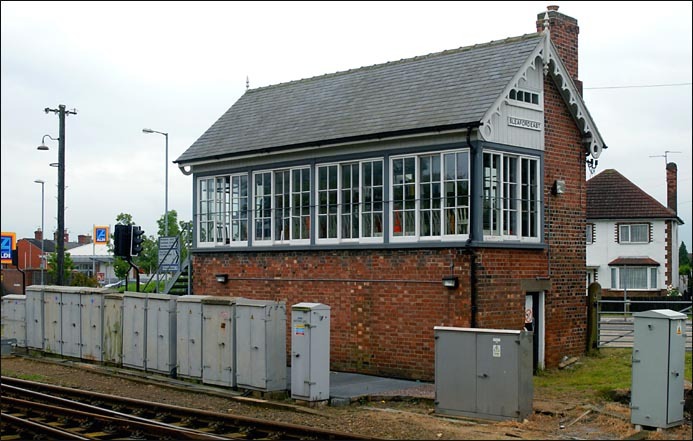 Sleaford East signal box is on the line from Nottingham to Boston and Skegness in the town of Sleaford. It is at the eastern end of Sleaford station. Passenger trains between Peterborough and Lincoln leave the Great Eastern joint line at Sleaford South Junction to call at Sleaford station, be for then returning to the Great Eastern joint line via Sleaford West Junction and then Sleaford North Junction. Be for the avoiding line was reopened in 2014 all trains on the Great Eastern joint line had to use Sleaford station. This is Sleaford East signal box on the line from Nottingham to Boston and Skegness and it also on the Lincoln To Peterborough line in the town of Sleaford. It is at the eastern end of Sleaford railway station. 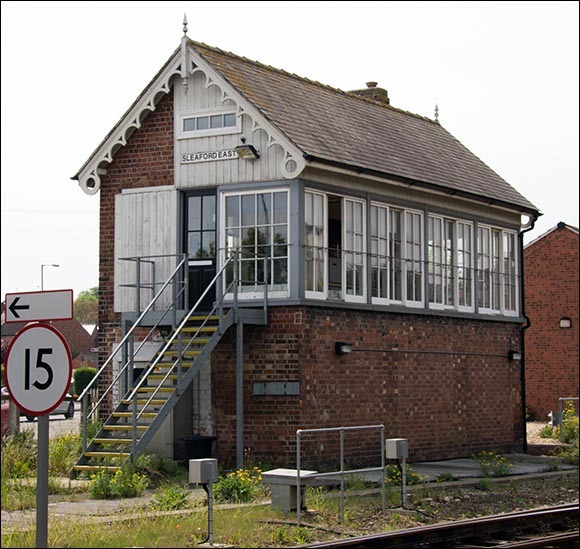 This signal box was on the railway line from Peterborough to Spalding Sleaford and Lincoln and Doncaster on the Great Nothern loop as it is called today. Much work has gone into upgrading this railway line. This has meant that nearly all the old signal boxes and signals and hand worked crossing gates have all gone. These have been replaced by a new signal center at Lincoln, which is to be replaced, when the York signal Center goes on line. Sleaford station is on the Nottingham to Boston and Skegness line.Passenger trains on the railway line from Peterborough to Spalding Sleaford and Lincoln and Doncaster on the Great Nothern loop use Sleaford station turning off the GN&GER line at Sleaford South Juction and return at Sleaford North Juction. The Direct line between the south and North juction was closed for many years but is now reopened.